Whether you’re looking to save money month-over-month or could use cash in hand now in exchange for home equity, consider refinancing your home loan. Rate-and-term mortgage refinance is a solution for clients who want a better interest rate or term to save over time. Other borrowers choose cash-out refinance to receive cash out in exchange for some of their home equity. The refinance professionals at Nortex Mortgage can help you find the right solution for your needs. We have helped clients in Plano, McKinney, Frisco, and nearby Texas communities for more than two decades. We are deeply passionate about helping our clients achieve their financial goals, and we’d love to talk with you. Contact Nortex Mortgage today, and let’s begin exploring. Clients with existing adjustable-rate mortgages (ARMs) are drawn to rate-and-term refinance because their existing mortgages have volatile interest rates that can be very costly. Refinancing to a fixed rate mortgage means clients secure a steady monthly interest rate. This translates to more stability and savings over time. Another type of borrower we often see for rate-and-term refinance are those who have previously obtained a mortgage while they had less-than-great credit or otherwise had difficulty qualifying for a loan with a competitive rate. Many of our refinance clients have improved their financial standing since signing their existing mortgage, and they’re ready to reap the savings refinance can bring. In essence, a cash-out refinance replaces your existing home loan with a higher-value mortgage and gives you cash in hand. Once the paperwork is complete, your new mortgage will be the sum of your existing home loan and the value of your cash payout. Our clients use cash-out refinance to pay off existing bills, to make home improvements, to invest in stock and other ventures, to go on dream vacations and for all other types of reasons. To pay for this new, higher-cost loan, clients can elect to take on a longer term or higher monthly payment. Cash-out refinance isn’t available to everyone who would consider refinancing. You must have enough home equity in your home to justify your refinance to lenders. Additionally, you should have a good credit score and low debt-to-income ratio in general. Even if you’re unsure that a mortgage refinance is the right option for you and your family, it’s never a bad idea to look at your options. 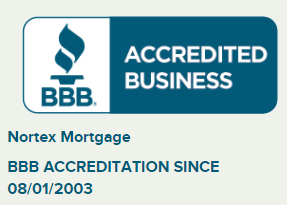 At Nortex Mortgage, we offer free quotes and are happy to answer your questions no matter where you are in the refinance process. If you own a home in Plano, McKinney, or Frisco, contact us and see if a cash-out refinance or rate-and-term refinance may be right for you.